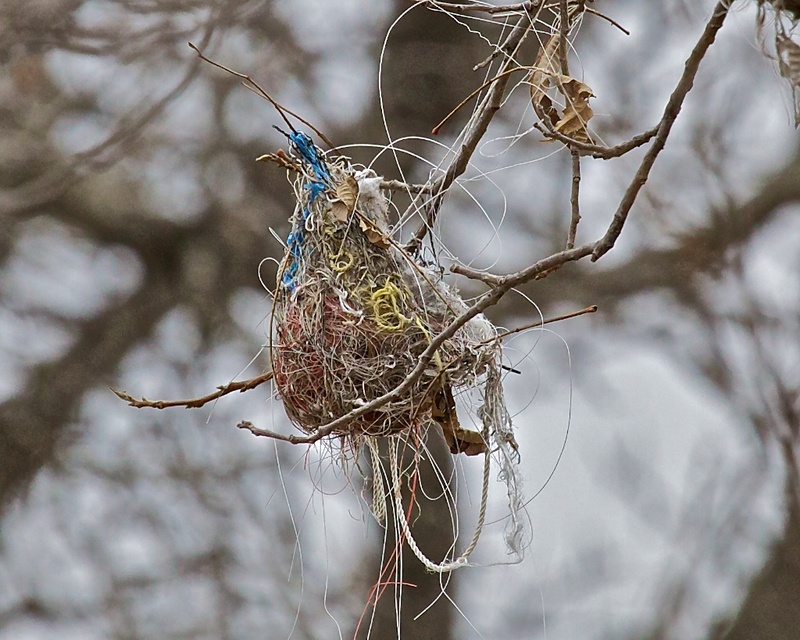 This bird’s nest consists of yarn, string, cloth fibers, fishing line, rope and who knows what else. It makes a very strong structure when woven together. This is most likely the nest of a Baltimore Oriole.